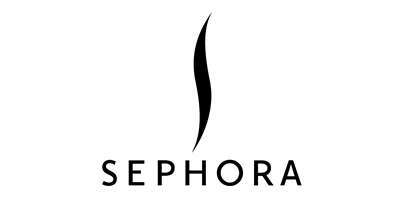 Sephora is emerging as one of the world’s most well-known cosmetics and beauty products provider in Malaysia. The company offers a wide selection of beauty items including skincare, fragrances, makeup, etc. from the top brands in the market today. Apart from that, the brand also has its very own in-house products known as Sephora collection, consisting of over 80 types of eyeshadows, 90 shades of lipstick, 100 choices of eyeliners, and many more. Founded as a beauty-retail concept store by Dominique Mandonnaud in France in 1970, Sephora has grown by leaps and bounds and have now become a leading prestige retailer globally. Today, Sephora has about 2,300 stores in 33 countries around the world, including in Malaysia. Offering a huge variety of carefully-curated beauty products has enabled Sephora Malaysia to earn a reputation as the go-to store for all beauty-related needs. With so many stores and merchants specializing in beauty products available online, you might wonder what makes Sephora Malaysia stand out from the rest. The secret lies in the company’s attention to both quality and quantity – providing a vast supply of top-notch beauty products for its customers. Be it emerging favourites to trusted classics, you can find them in one store – Sephora Malaysia. Sephora adopts what is known as an open-sell environment, which enables it to feature various brands across a broad range of product categories. By providing an unparalleled assortment of prestige products in every category, Sephora is now deemed as the one-stop store for Malaysian women to get all the beauty items they need. This makes shopping a painless experience as you can get everything on one platform instead of needing to visit several websites. In terms of quality, Sephora is committed to providing only the best for its customers. Hence, the brand takes measures to ensure that the products sold in its offline and online stores are of the topmost quality. As a subsidiary of LVMH Moët Hennessy Louis Vuitton, the world’s leading luxury goods group, you can rest assured that Sephora sets high standards for itself in all aspects, from the products sold on its site up to customer service. To further improve its customer shopping experience, Sephora Malaysia ensures that the products sold on its platform come with affordable price tags. This enables shoppers to gain more value out of their purchases as they can save while shopping. Furthermore, Sephora offers a generous amount of special deals and promos for users to utilize fully while shopping on their online portal. These promo codes further cut down the prices even further, giving more bang for every buck. With its mobile app, Sephora makes sure that it is always there for you when you need to spruce up before an appointment or if you simply want to shop while on the go. By downloading this Sephora – Beauty Shopping app via App Store or Google Play onto your smartphone, you will be able to shop for your favourite products anywhere and anytime. Aside from enabling 24/7 shopping, the app also provides updates on new arrivals, bestsellers, and exclusive deals so that you do not miss out on all the fun! Not only that, this mobile app also allows you to redeem points as a Beauty Pass Member and even receive a birthday gift on your big day! Before you embark on a shopping spree at Sephora Malaysia, why not drop by and take a look at the promo codes that are available on this page? Utilizing these codes enable you to enjoy exclusive discounts while you shop! Below are the steps for redeeming and utilizing your Sephora promo codes. Browse through all the listed Sephora coupons available on this page. Upon finding a coupon that you are interested to use, simply click on it to access the promo code. Some coupons do not come with codes; these are automatically applied without manual activated. Once you have copied the code (if any), click on the embedded link to be directed to Sephora Malaysia’s online shopping portal. Browse through the site for whatever item(s) you want to shop for. When it comes time for checkout, insert the code that you had copied earlier into the space provided before you proceed to confirm the payment. Sephora accepts multiple payment methods including Cash On Delivery, online transfer, as well as debit and credit cards issued by Visa, MasterCard, and American Express.